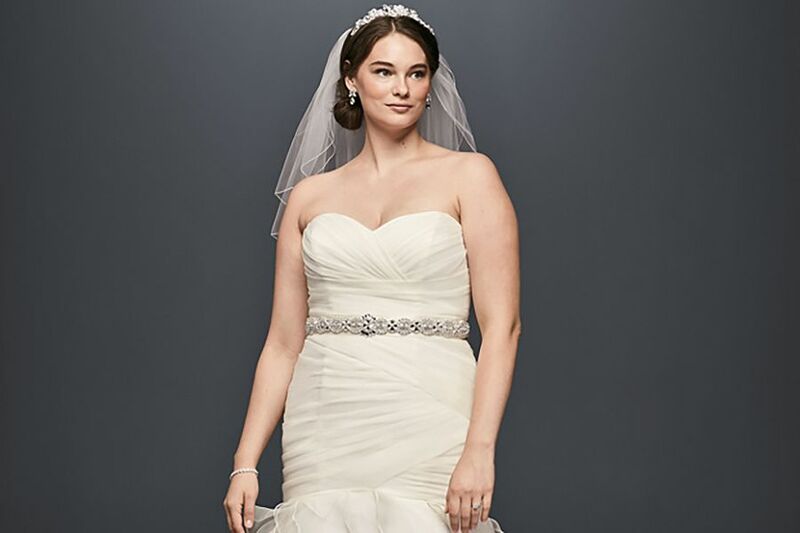 When you have hundreds of wedding gowns to choose from, how do you find “the one”? Experts recommend using your body type as a starting point and keeping an open mind. Here are some of the most common body types and the dress silhouettes that will best flatter that figure. Silhouettes that work best on petite ladies include trumpet styles, A-line sheaths, fit and flare dresses and princess cuts. The number one rule: Don’t hide your bust! While a plunging neckline might be going too far, a more modest but still open V-or scoop neck or portrait neckline will flatter you the most. Try on dresses with a fitted bodice for needed support.